For the first time ever researchers have analyzed the entire DNA sequence (whole genome) of individuals with ASD and were able to link autism symptoms to specific genetic changes in half of the families studied. Autism Speaks will use the Google Cloud platform to manage, analyze and share this information. The goal is to sequence the whole genome of 10,000 individuals with ASD living throughout the world. Upon completion this collaboration could lead to the identification of various subtypes of autism. 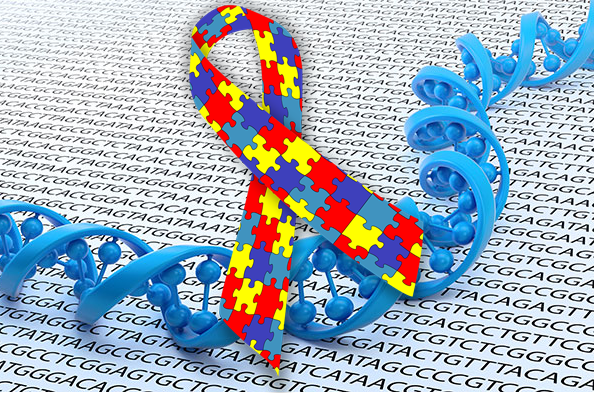 “Whole genome sequencing has shown its potential to fundamentally transform the future of medical care for people with autism,” said Autism Speaks Chief Science Officer Rob Ring. So now that I understand the impact of this research I decided to investigate how you and I can participate. The site that I found most helpful was Interactive Autism Network. I’d encourage you to consider registering with this network. Wherever you live you can make a difference by participating … and it only takes 10 minutes. This entry was posted in Uncategorized and tagged asd, AUT10K, autism, autism speaks, bni, ELBS, genome sequencing, Google, IAN, Interactive Autism Network, research, special needs. Bookmark the permalink.